The time has long gone, when ovens were used solely for heating purpose. The reason being the advent of technology and more and more people depending on machineries rather than following the traditional norms of producing goods, be it industrial or home made. Today we talk about Industrial ovens, their types and their applications in various Industries. 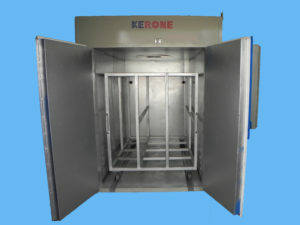 Industrial ovens are heating chambers, used for a variety of industrial applications on components or part of products or the final products itself. Industrial ovens can be used for large or small volume applications, in batches or continuously with a conveyor line, and a variety of temperature ranges, sizes and configurations. Such ovens are used in many different applications, including chemical processing, food production, and even in the electronics industry. Annealing: A heat treatment that alters the physical and also chemical properties of a material to increase its ductility and reduce its hardness, making it more workable. Eg: metals or glass. Bonding: Is the act of joining two electrical conductors together. Eg: metal wires or other equipments. Baking: Cooking of bakery products like cakes, biscuits, cookies etc. Sterilization: Refers to any process that eliminates all forms of life and other biological agents (such as fungi, bacteria, viruses) which assists in spoiling of food and other products. Burn-In: A testing process of components of a certain product which ensures their longevity and quality. Aging: A heat treatment technique used to increase the yield of malleable materials. Eg: Alloys like aluminum, magnesium, nickel, titanium, steel and stainless steel. All these applications and many more stand as testimonials to the fact that industrial ovens are versatile and immensely useful in various sectors. 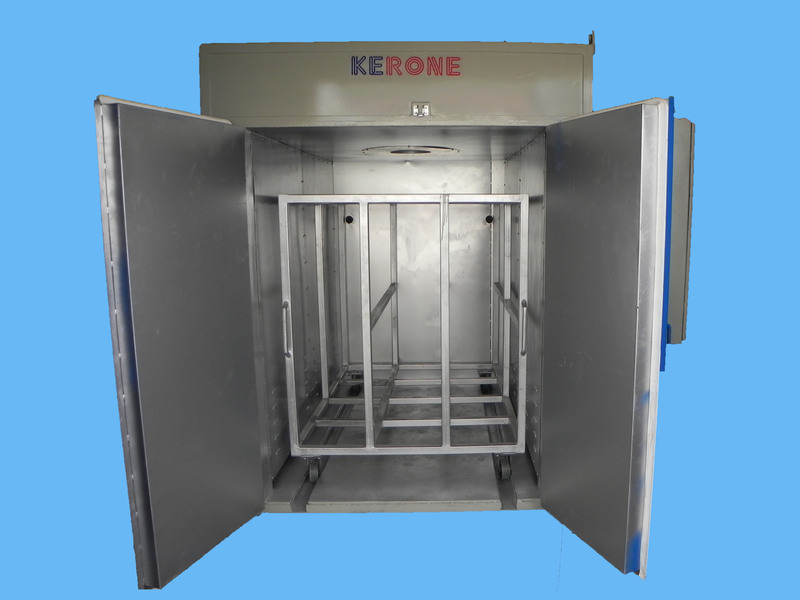 We at KERONE stock a range of industrial ovens for batch and also continuous processing. Our industrial oven models are available with temperatures as high as 400Â°C, large capacity working chambers. Each unit is pre-designed and custom engineered to meet your specifications, ensuring highly reliable operation and performance for decades to come. Regardless of your Industry, you can depend upon our systems for all your heat processing requirements. This entry was posted in Kerone and tagged Batch type Industrial Oven, Continuous Type of Industrial Oven by admin. Bookmark the permalink.